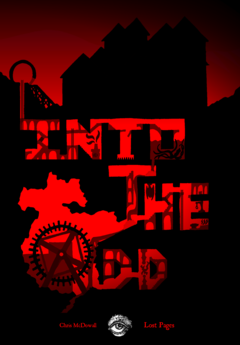 Into the Odd is a game about Greed. Those without greed go and work in a factory and don't get to be player-characters. You're a Treasure Hunter. You have Greed. - Expensive things you want. - Problems that money would solve. Treasures always beckon from somewhere horrible. 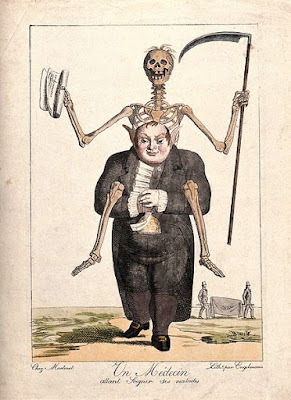 Patrons both embody Greed, and enable yours. Dilemmas tempt you with having your cake and eating it too. - Taking by force is the only true transaction, but if you rob from them and leave a Treasure behind they'll go easy on you. - If you try to rip them off, their feared Reprimand Hounds (12 Dog-armoured Men, 8hp, Dog-Guns d8, blast through walls) will take everything you own. - Know the location of all the best Treasure, but only announce it to entire crowds of Treasure Hunters on Monday mornings, sparking a treasure-rush. - Will invest d20g in any expedition that sounds suitably suicidal, as long as there is a high reward. - Offer smaller investments of 1g to reclaim property from failed expeditions they have funded. - As soon as you return to Bastion you will find yourself blacklisted until you have paid back 500% of the investment. New heights of bureaucratic passive-aggression, but never thuggery. You really don't want it all in your pockets. Put it Somewhere Secret: Shadow-banks don't report to anyone, but if something bad happens to your funds you're compeltely unprotected. Put it Somewhere Safe: Proper banks are watertight, but come with fees, paperwork, and restrictions. PUSH: Find a way to get the best of both worlds. Card and dice games do well, but animal races and fights are more exciting. Only take in what you're willing to lose. Gamble Socially: You come out with 2d6x10% of your money, but you get to schmooze around and make some contacts. Gamble Ruthlessly: You come out with d20x10% of your money. Either way you piss some people off, but if you've made a significant amount of money then you've won it off someone specific, and they don't like it. PUSH: Find a clever way to do both.